were designed for end-time’s main onset. that print media cannot withstand. but gags on truth we can overcome. the record will break the illusion. that the pew-stalled dare not contemplate. which critics call far from error-free. spread by neo-pagan re-truth smiths. So this I’ve nicknamed Lousy Data. caused it some kudos paralysis). get, says one wit, a Francis rebore. as a new eco-religious mix. Off-the-cuff’s one thing; but: pre-planned? Such would prove things at root underhand. word/deed pile-ups shows “well-planned” no doubt. that they act in our dumb-sheep defence. however ballistic grew the blogs. priests spurred to rule-bends. Full hard-truth rout! But few, purple-robed, backed lay-disgust. Many saw shattered a life-time’s trust. Pledged post-Synod sifts from through-the-mill. the hordes want to desecrate most. might as well rot in darkest Nubia. On Oct 28, 2016. “The Vatican office …has confirmed that Pope Francis has decided not to renew the terms of several of its bishop-members, many of whom are known for preferring a more traditionalist practice of liturgy.” 27 new members were appointed, of which 16 existing members’ terms were not renewed. Cardinals Burke and Pell were among those whose terms were not renewed. 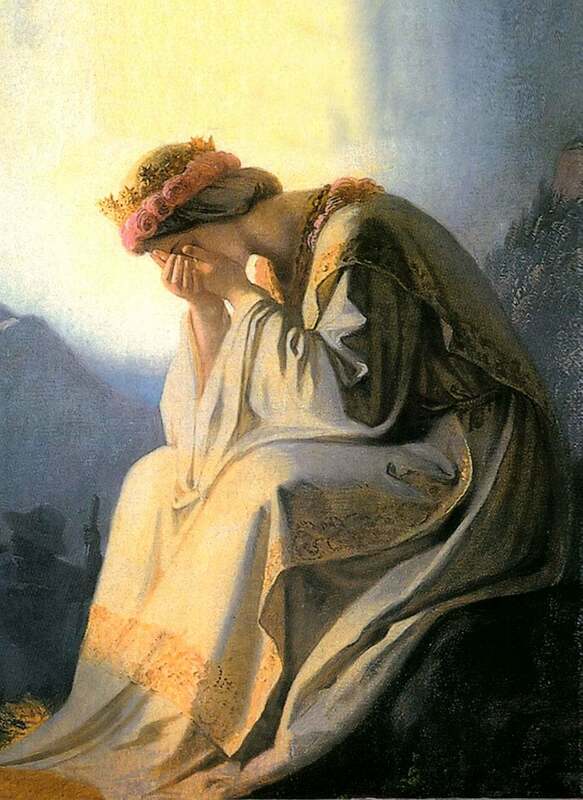 See article at: https://www.ncronline.org/blogs/ncr-today/vatican-confirms-removal-burke-pell-worship-congregation. LifeSiteNews 23rd 2016: Cardinals Burke and Pell had been dismissed from the Congregation for Divine Worship and replaced with conservatives. 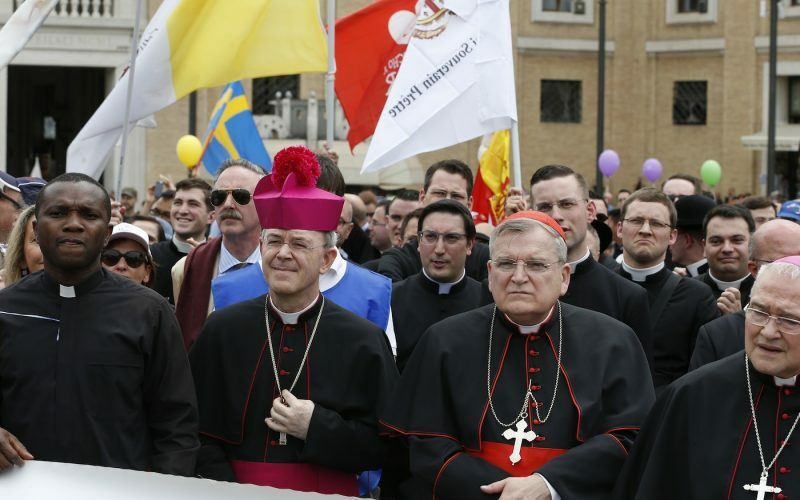 Burke is one of the four cardinals who has formally requested (via ‘the Dubia’) that Pope Francis clarify whether Amoris Laetitia is at odds with Catholic moral teaching. After the cardinals’ request went unanswered for two months, the cardinals went public with their concerns. Burke has said cardinals will need to make a “formal act of correction” if Pope Francis doesn’t clarify the serious errors related to the exhortation. Wall Street Journal on 8 Sept. 2016 and Weekend Australian reported that Cardinal Pell, as pope’s finance chief had discovered “a total of €1.4 billion “tucked away” off the books”. He organized an audit, but it was disallowed. “In June, the Vatican announced it had been scrapped, and soon many of Cardinal Pell’s wide ranging powers were handed to others. Are we at the beginning of the first stage of the schism? “Those who truly know Me and understand the truth of the holy Gospels” – i.e. 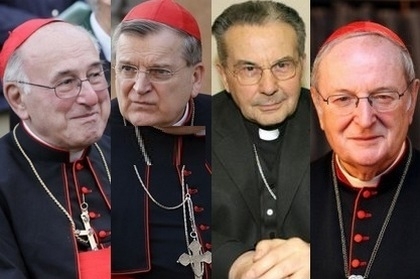 the 4 Cardinals (Cardinals Raymond, Walter Brandmüller, Carlo Caffarra, and Joachim Maisner). they requested from Bergoglio a clarification about doubts which have arisen as a result of Amoris Laetitia. On 19th September they sent a letter to the pope, which was a set of 5 Yes/No questions on matters in AL which are at odds with Catholic moral teaching. When he had not responded within 2 months, they made the letter public. In a secular newspaper (see below) it was stated “Judging by a cautionary letter to Francis during last year’s Synod on the Family, at least a dozen other cardinals, including Australia’s George Pell, share some of their (the 4 cardinals) concerns”. Cardinals Blasé Cupich and Thomas Tobin and others such as Jesuit Antonio Spadaro referred to the 4 cardinals as “witless worms”. “As The Australian has reported, AL is at the centre of the most serious challenge facing Francis. That has come from two German cardinals, an Italian and an American. Judging by a cautionary letter to Francis during last year’s Synod on the Family, at least a dozen other cardinals, including Australia’s George Pell, share some of their concerns. This week, the four cardinals released the “please explain’’ letter they sent the pope privately eight weeks ago. He declined to answer. Such public, formal questioning of a pope’s teaching has been unknown for centuries. The AL row has also baffled and upset Catholics in the pews, who hold immense respect from the papal office. Some would welcome a relaxation of rules, others believe such change is not Catholic and not possible. Two days ago, one of the four, US Cardinal Raymond Burke, 68, who was the Vatican’s top church lawyer until Francis sacked him two years ago, upped the ante. Like the other three cardinals, he has nothing to lose. In an interview, the quietly-spoken prelate said that unless Francis corrected his own document the cardinals would do it for him, by issuing “a formal act of correction of a serious error’’. There was, Burke said, a rare tradition in the Church, “the practice of correction of the Roman Pontiff’’. 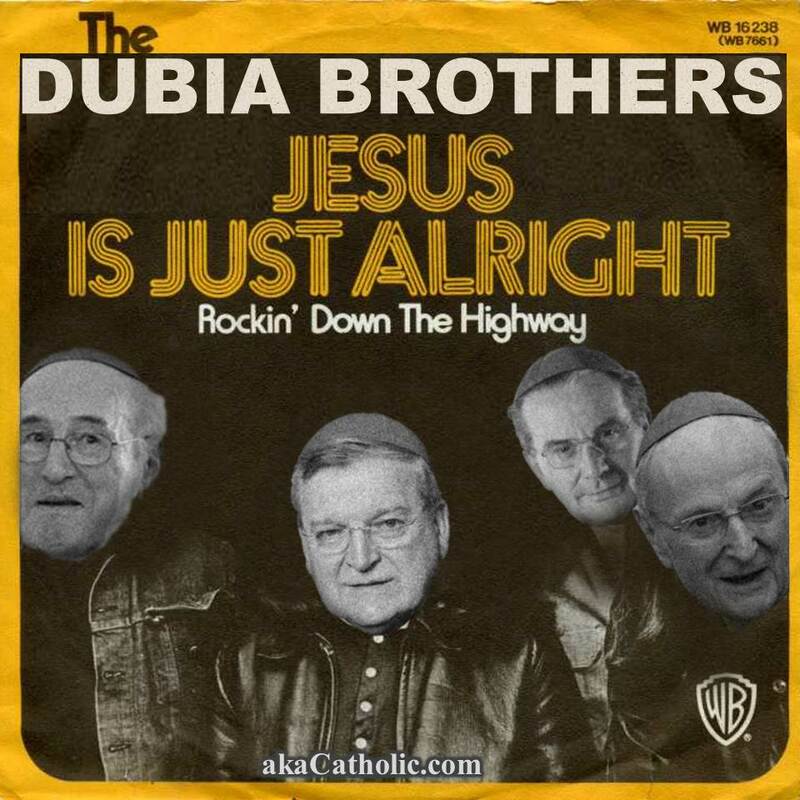 “It’s 6 months from Amoris Laetitia till the Dubia”!!! If that’s the case: Crusaders, get ready for the influx – our army is about to grow!